Plant Identification--bought a new house and wondering what's growing in it? 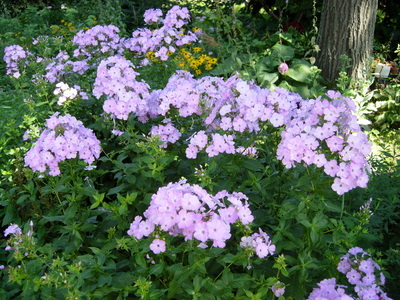 For your garden club, church, library, assisted living facility, business or social group. $200 to $300 cost, plus travel expenses outside of a half hr drive radius of Wakefield, handouts provided, PowerPoint for all presentations (I provide computer, projector), hands-on demos available, supplies extra if applicable. More info on my presentation tab above. *Retired business/technology teacher, BS, M.Ed. As a gardener, one of my goals is to bring beauty into my life with flowers and friends. 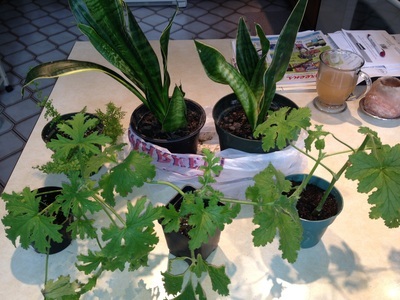 Another goal is to grow my own healthy food from my organic veggie and healthy herbs. And lastly, putting back into nature and our environment to replenish what I have taken out of it through composting. I recycle all kitchen scraps (no protein). Please recycle plastic, glass, and bring canvas bags to the grocery stores...please limit plastic bag use. Ask for paper bags and recycle your newspapers in them at the curb or bring to a recycling bin for newspapers/paper. Help your local schools recycle paper, bottles/cans, etc. Another one of my goals is to spread the word about the benefits of BACKYARD ORGANIC GARDENING using many different types of mediums--researching information on horticulture, growing plants, teaching garden classes, garden consulting, garden coaching, garden therapy, public speaking, and belonging to horticulture organizations. Grow Organic/Buy Organic! Check out my other pages above or click on the links on the above left. 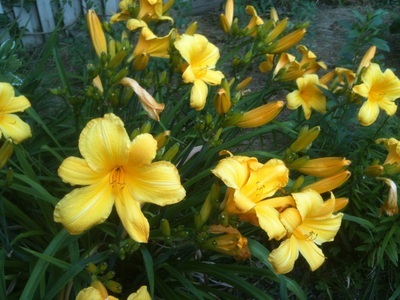 Email me for a coupon and to get on my Garden Update Email list during the growing season. Find out about special sales and more coupons. SEEDS from my gardens--Organic, non-GMO (no chemicals), leeks, garlic chives, angelica, black eye Susans, Datura-white & purple, Scarlet Runner Beans-original Jack in the Beanstock, seriously! and more! $3 package. Available all year. 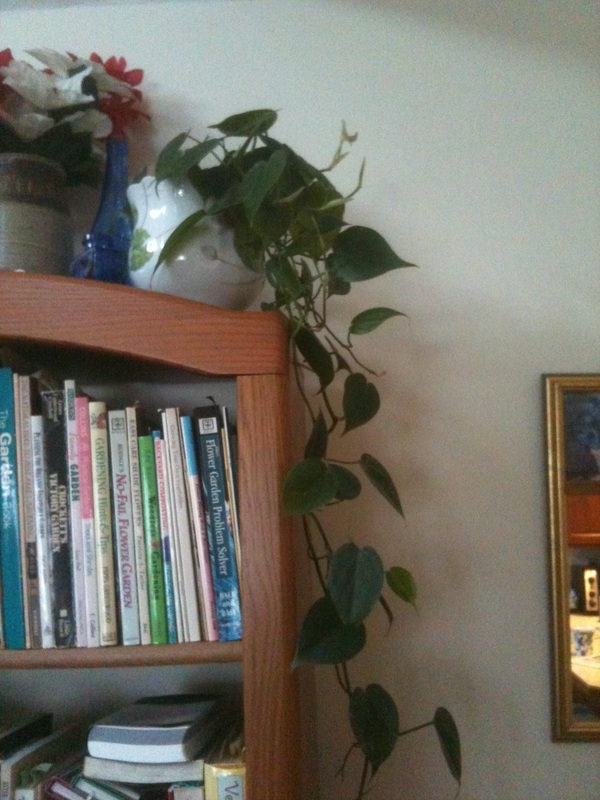 NOTE: some of the proceeds from my plant sales have gone towards my Dad's Scholarship fund through the Scholarship Foundation of Wakefield http://www.csfofwakefield.org/ Here is the link if you would like to donate to our fund in his name Joseph N Longo Scholarship. Every year a local student received money from our fund now since we are over $6,000! Other monies made from consultations and presentations goes towards upkeep and garden expenses in my organic gardens. I'm always adding more unique plants and use organic fertilizers and compost which is costly. This is my hobby! I have also donated plant baskets and gift certificates to the following organizations: Wakefield Lucius Beebe Memorial Library Blossoms at the Beebe event, the Hartshorne House breakfast, Wakefield Garden Club Floral Way, and other organizations in the area when asked. *I can come to your garden and we can talk about your needs, wants, and what you can do--we work together to create a garden that you will be happy with! *Reasonable rates ($50 per hour --56 cents per mile to travel, beyond 10 miles--1 HR MIN). 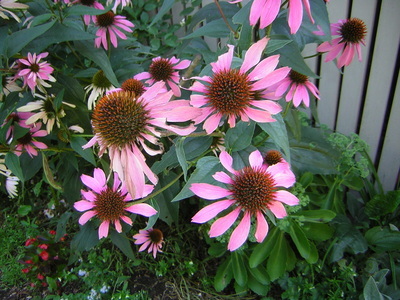 Some TOPICS: container gardening, fairy gardens, veggies, herbs, annuals, perennials, water gardening and seed starting. 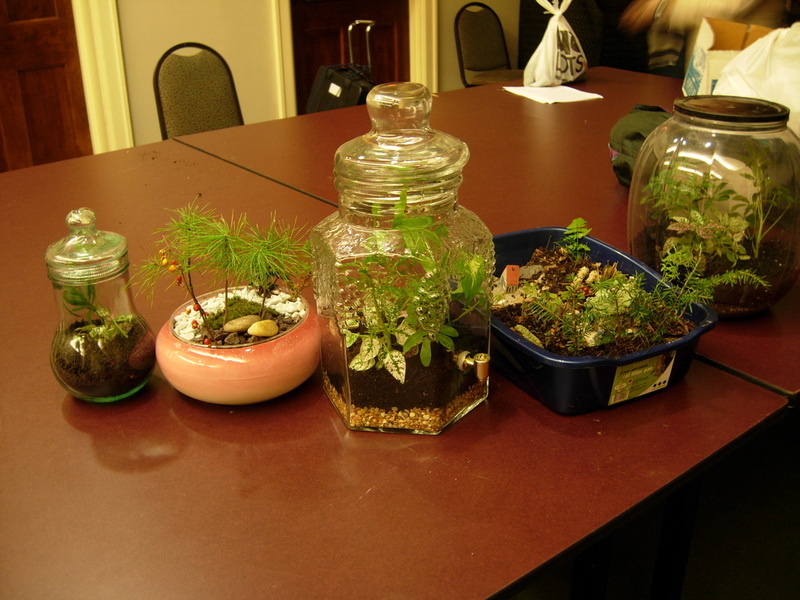 Schedule a Plant Night with your friends...make a terrarium, dish garden, fairy garden, or herb garden. Min 5 attendees to run. $35 per person includes 3 plants, soil, rocks, charcoal (if needed). You supply container. BYOC Bring your own container if a terrarium, other projects include container unless you want to supply one of your choice. Night is 2 hours, garden tour, talk about plants and then build your project.